Refer to the attached image mosaic. All images were taken with the D200 and 50mm f/1.8D AF-Nikkor. The top image is f/3.2 1/30s ISO 800; white balance is "As Shot"
The middle image is f/3.2 1/30s ISO 100 with flash; white balance is "Flash"
The bottom image is f/3.2 1/30s ISO 100 with flash; white balance is "Cloudy"
The left column are the full images resized. The middle column are 100% crops of the nose. The right column are 100% crops of the jacket collar. 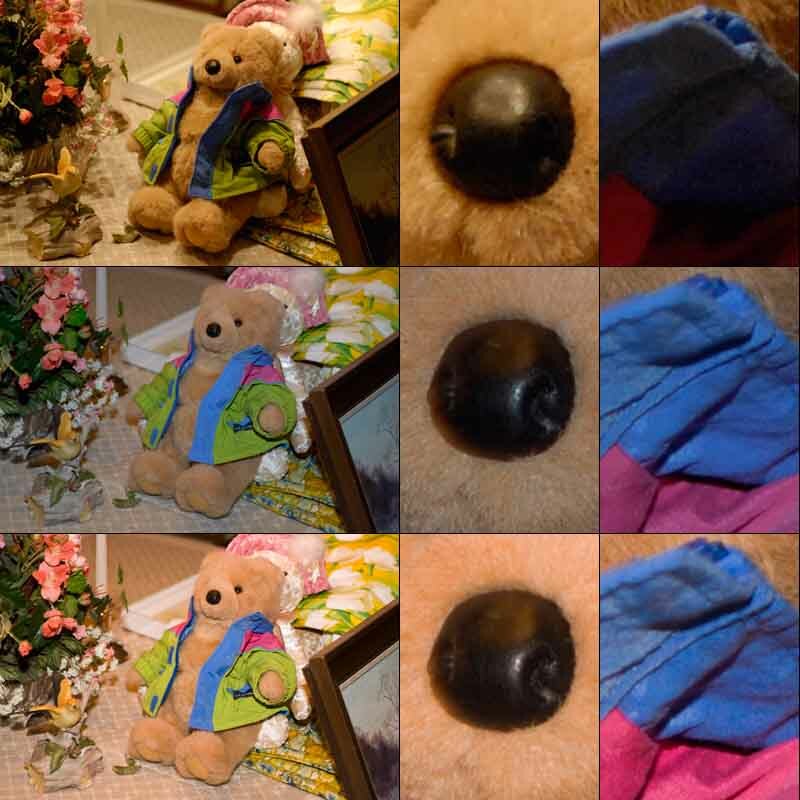 Many people, wanting to retain the natural warm lighting would have skipped using flash in order to get the top image rather than the middle image. But a simple White Balance (WB) adjustment can give the flash picture the same warmth as without flash, as you see in the bottom image. Furthermore, by adding light you can will get far less apparent noise. This is clear from the middle and right columns. In addition to the noise benefits this approach also gives you much more control over the shadows. So, don't be put off by the "white/blue" light of your flash; use it (or more than one) to fight noise and shadows !! !